Block, jab and punch your way to fitness! As one of the most intense full body workouts, boxing has it all. Burn fat, relieve stress and have a knockout time! Most sessions take place in a boxing gyms full of equipment. But boxing also happens in normal gyms too and have even be known to take place outside! After all, all you need are some pads to punch against and a partner. 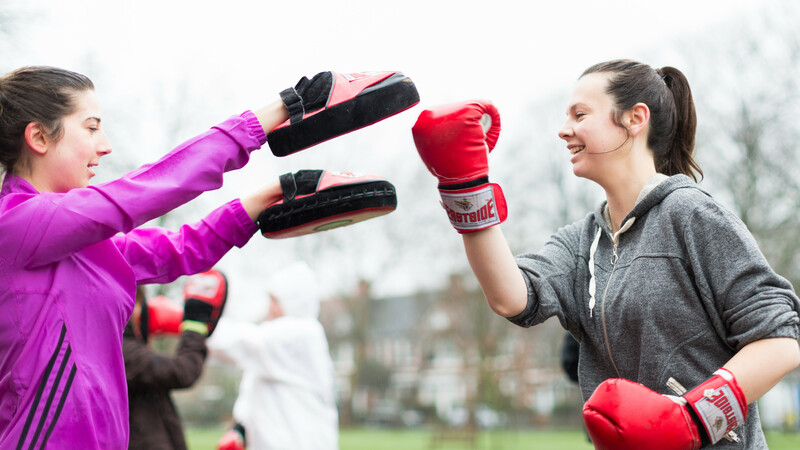 With varying levels of body contact, boxing has something for everyone to get involved with – go on, take a swing at it! No holds barred chance to punch away day to day stresses! It’s likely to begin with, that you will just need to wear suitable gym clothes, as gloves, pads and other equipment are likely to be provided. Always check with the club or session before you go. England Boxing is the National Governing Body.